It is my passion and my pleasure to assist you on your journey to health! I specialize in helping people reduce pain that has not been alleviated by other methods (including drugs and surgery). I offer Thai Bodywork, Therapeutic Thai Flying, and Abdominal Massage: addressing pain relief, stress relief, and injury treatment. My bodywork excels in relieving back pain, migraines, carpal tunnel, tennis elbow, plantar fascitis, vertigo, and so much more. It can helps athletes improve performance and reduce injuries by increasing elasticity, removing waste products, stretching tissue and fascia that the athlete can not access, breaking down scar tissue, and reducing pain. I have been doing massage for 16 years and have worked both in private practice and health related settings. 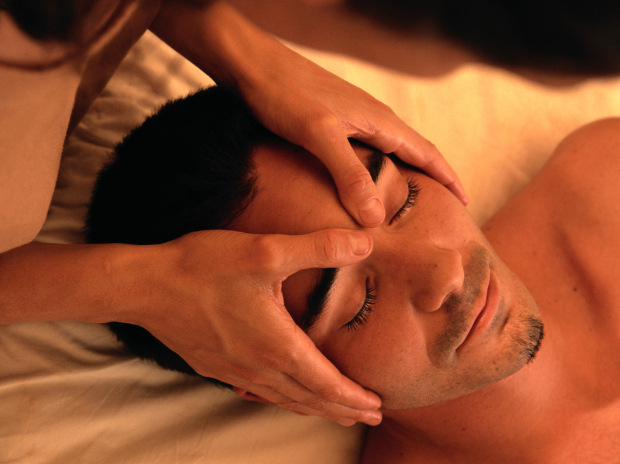 In the fall of 2010 I went to Thailand to study Thai massage which transformed my practice. In Thailand I studied with Pichest Boonthumme in Chiang Mai, Thailand. 2002 was very busy as I took classes from Dragonfly Thai Teaching Academy in St. Charles Mo, Thai Bodywork School of Massage in Chicago, and The Naga Center in Portland Oregon. I now include all my previous training of NMT, MFR, and other techniques to help people reach their goals through Thai massage. In addition to helping my clients feel better, I love AcroYoga, healthy living, organic gardening, cooking, uncooking (food in general! ), caring for my 83 year old mom with Dementia, and the Sunshine. Was amazing and I am very thankful to have found her and the exercise studio. Plan to become a frequent visitor. Highly recommended. Never had a a massage like this it was fantastic! I will recer her to everyone i know! Thank you so much Betsy! I have had a lot of massages in my life, but this was my first time getting a Thai massage and now I don't think u could ever go back! Betsy did such a great job, she was very caring, respectful and nice. I highly recommend her and the Thai Massage! You will not be disappointed for it was worth every penny. Betsy was amazing! It was my first Thai Massage and not only did I learn a lot about what was going on with my body, I feel amazing! I highly recommend Betsy! Treat yourself and call her today!!! I have had a variety of Thai Massage before, but I do believe Betsy is the best. She is VERY skilled at her craft and it was an EXTREMELY therapeutic session! Simple great. Just what I need. She helps me cope with old age and post polio. I am so glad I have found her. She comes to my home.